Bulleys commercial property experts offer a wide range of commercial property in Willenhall. Finding commercial property for sale or to let throughout Willenhall and West Midlands can often be a time consuming process, so we provide our expertise to help you make the right choice. 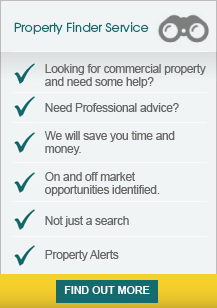 If you can't find the commercial property in Willenhall you are looking for let us know and we will be able to assist you, or why not try out our property finder service and register for commercial property alerts. Our commercial property in Willenhall are updated daily, so you can be rest assured we bring you the most recent and up to date commercial property listings. We also provide other commercial property services including property valuations, renegotiating leases, rating, and commercial property management in Willenhall and West Midlands. The premises are located on Chancel Industrial Estate, Newhall Street, Willenhall close to its junction with Lichfield Street. Willenhall town centre lies approximately 1/4 mile distant and Junction 10 of M6 Motorway is approximately 2 miles distant. The Black Country route.. The offices form part of the development known as Electrium Point. Access to the offices and car park is via Forge Road, off Sandbeds Road (A462). Amenities in Willenhall Town Centre are available approximately 1 mile to the south-west. Junction 10 of the M6 is approximately.. The land is located off the B4484 Rosehill. The A454 keyway provides access to the Black Country route to Junction 10 of the motorway, approximately 2 miles distant, linking into the wider national motorway network. The site is predominantly located fronting Walsall Road within Willenhall, with Wolverhampton City Centre approximately 3 miles to the west and Walsall town centre approximately 3 miles to the east. Junction 10 of the M6 is approximately 1.5 miles and the A454 Black Country.. The property is predominantly located fronting Walsall Road within Willenhall, with Wolverhampton City Centre approximately 3 miles to the west and Walsall town centre approximately 3 miles to the east. Junction 10 of the M6 is approximately 1.5 miles and the A454 Black..
Block C forms part of the established Willenhall Trading Estate and is situated off Eastacre, in turn off Longacre which is accessed via Rose Hill. Junction 10 of the M6 is just two miles distant and accessed via the Key Way (A454) and the Black Country Route providing..
Unit A3 forms part of the established Willenhall Trading Estate and is situated off Midacre, in turn off Longacre which is accessed via Rose Hill. Junction 10 of the M6 is just two miles distant and accessed via the Key Way (A454) and the Black Country Route providing access..